This level has medium difficulty. For this level try to play more from bottom and near to Jam or blockers to break them. 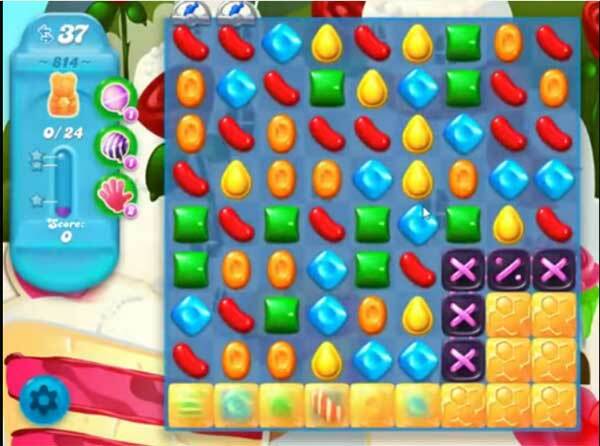 Make striped candy or other special candy as you get the chance and combine with other special candy to break them blockers and to spread more Jam. Wat een rot level! Op de video lijkt het zo simpel,maar dat is het niet,al wel 100 x gespeeld, maar het lukt niet. Need help on this level very difficult for me can only spread 71 jams and I’m out of moves please help been on this level a week cannot get this one HELP. Dit is een kut level.kun je nooit uitspelen..
Level 816 is beyond ridiculous! Has anyone ever cleared this level? You seriously need to rethink the strategy on this one!